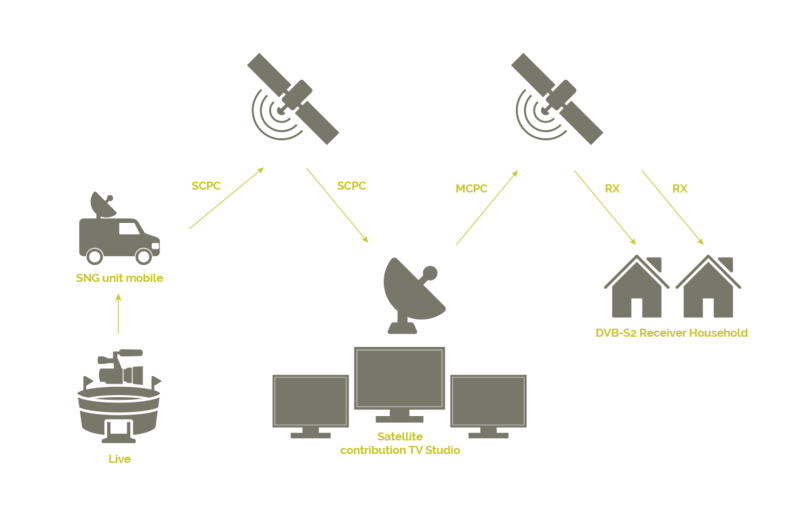 Our services ensure your signals are distributed on the proper satellite coverage. We can distribute your news, events, live sports, entertainment (such as concerts, reality shows) through our occasional use booking system. – You can transmit HD contents (SD, HD, 4K and UHD).